Does exactly what it says on the tin. (via Rose City Archery). Belomancy was anciently practised at least by Babylonians, Greeks, Arabs and Scythians…. The arrows were typically marked with occult symbols and had to have feathers for every method. In one method, different possible answers to a given question were written and tied to each arrow. For example, three arrows would be marked with the phrases, God orders it me, God forbids it me, and the third would be blank. The arrow that flew the furthest indicated the answer. Another method involves the same thing, but without shooting the arrows. They would simply be shuffled in the quiver, worn preferably on the back, and the first arrow to be drawn indicated the answer. If a blank arrow was drawn, they would redraw. Righty ho. I can’t do clout-y distance shooting here in London, but in the spirit of experiment, I gave the second method a go. First, I put my quiver on. 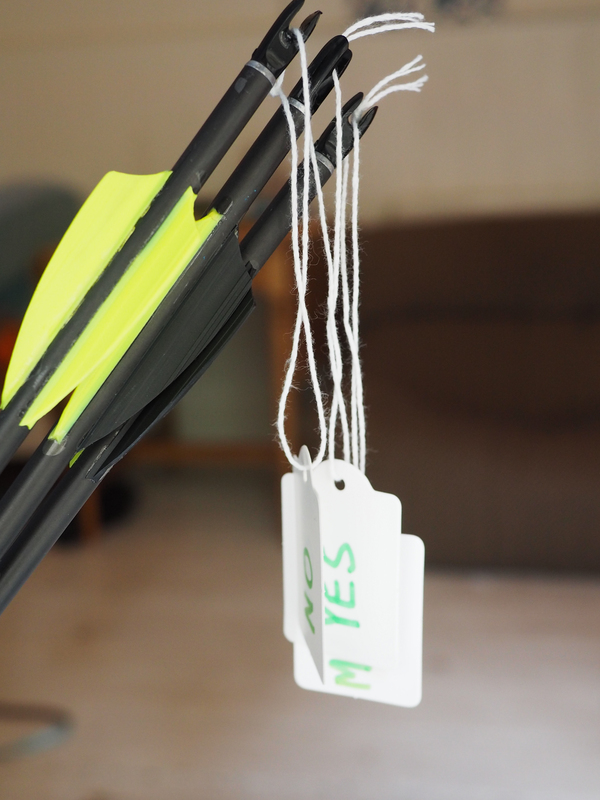 I marked three of my arrows with tags: ‘Yes’, ‘No’ and ‘Maybe’, and asked the gods: “Should I go and buy an ice-cream?”. Now I’m sitting here without any ice-cream. Well, I’m not trying that again. 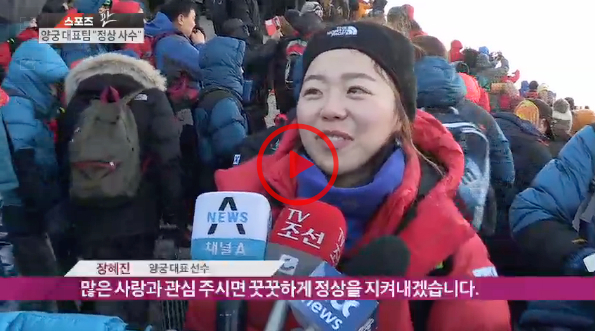 Ki Bo Bae news! 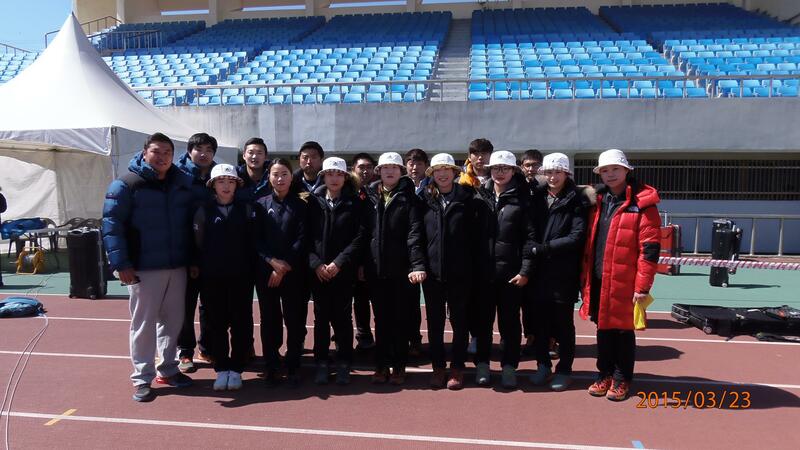 Her Gwangju City Hall pro team won the first “Olympic commemorative’ 31st Hoejanggi College archery competition” a couple of weeks ago, with the team racking up 4126 points in qualifying. 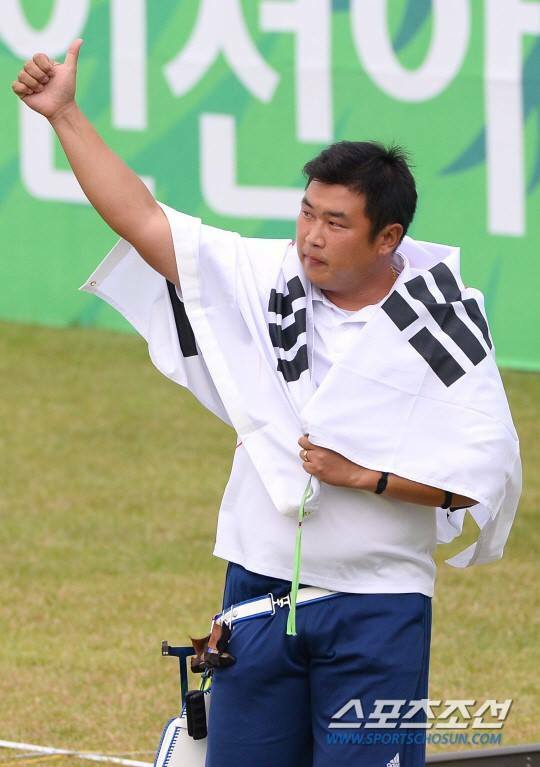 Ki Bo Bae shot a 1391 FITA in qualifying, beating the tournament record. No one in Europe or America has ever shot that score, if I have checked correctly. 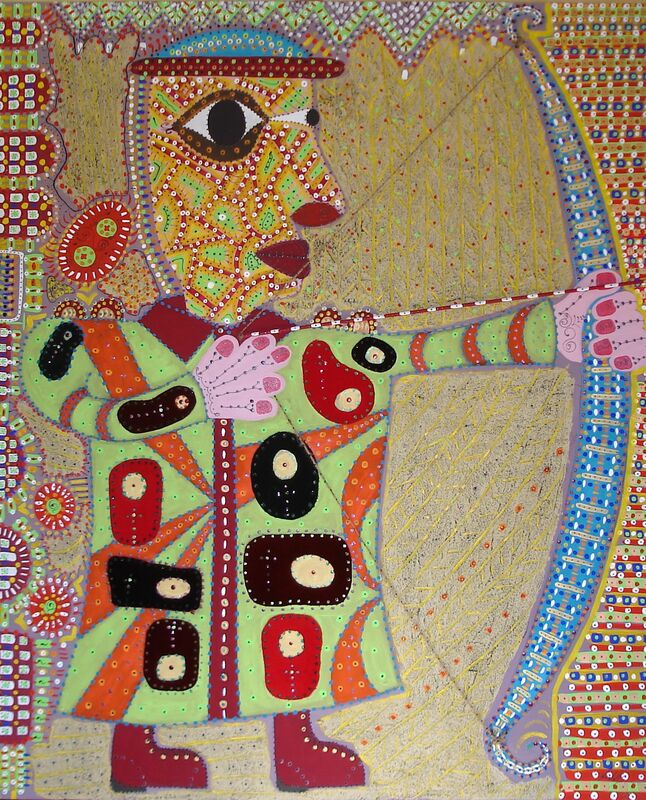 Outsider-esque fantasy from Franco Nonnis. 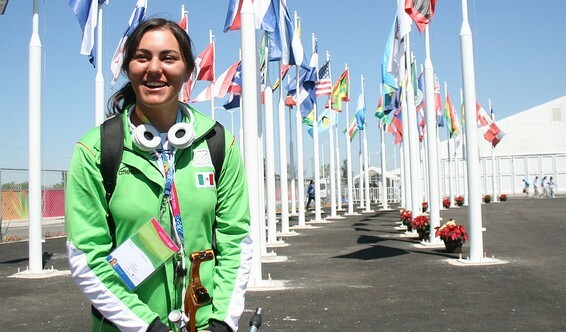 Alejandra Valencia, 19, has been part of the Mexican recurve team since 2011. She won two gold medals (team and individual) at the Pan American Games in 2011, and qualified for the World Cup Final in Paris last year. 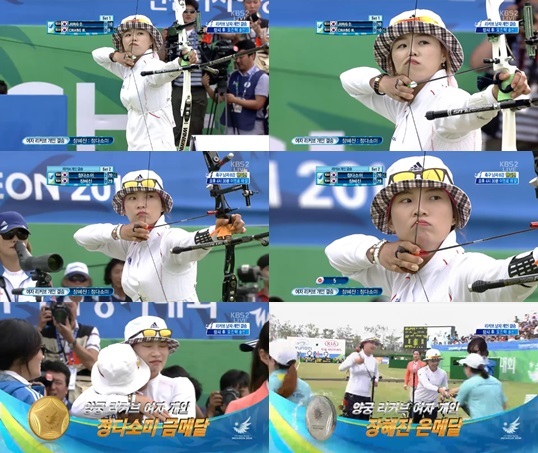 She is currently in Legnica in Poland shooting at the World University Championships. In English y Español (véase más abajo). How do you keep calm just before you are going to shoot? I breathe – and then I concentrate on what I am going to do. I just focus on my technique. Do you have any particular warmups or rituals before going to the line? No, I only do the normal sorts of warmups, and then I just get ready! What would you do to raise archery’s profile for the public? 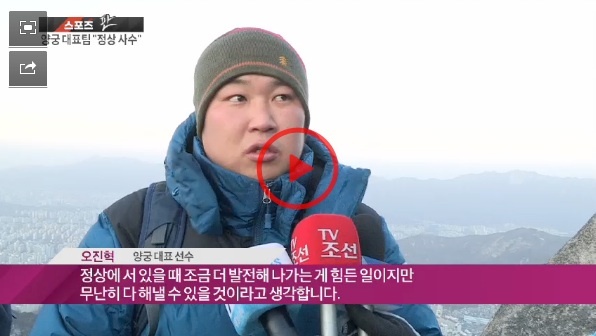 It would be good to have more broadcasting of the competitions, maybe give more exhibitions in places, things like that. Is there a version of the sport that could attract new audiences? 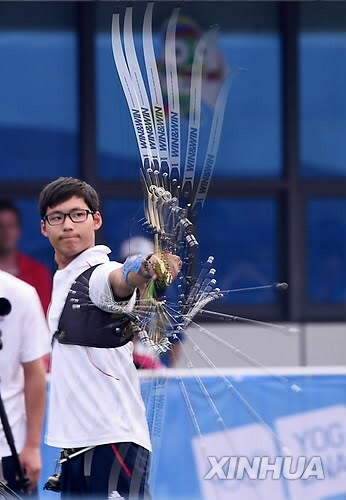 Well, what is happening right now with the movies that are being released, recently there was that streak where almost all the movies had someone using a bow and arrow, that helped a lot for people to get to know archery – that is going to be the thing that helps people know the sport and get interested in it. 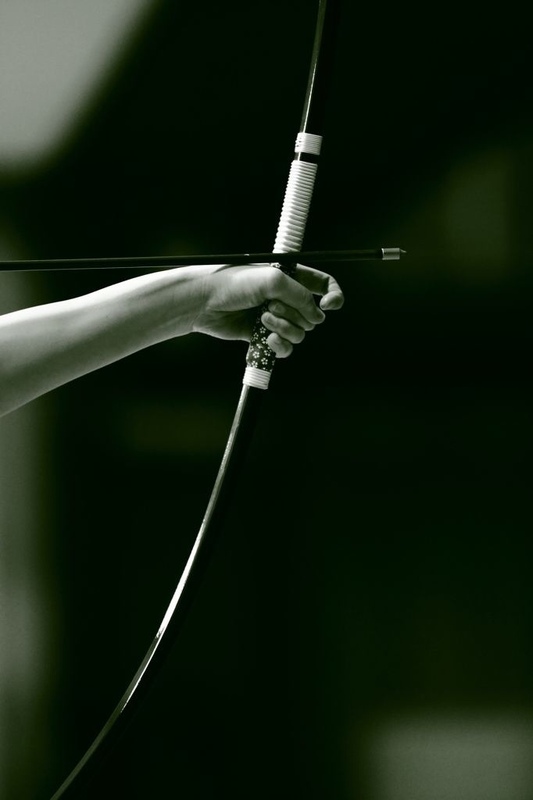 What is your favourite sport apart from archery and why? 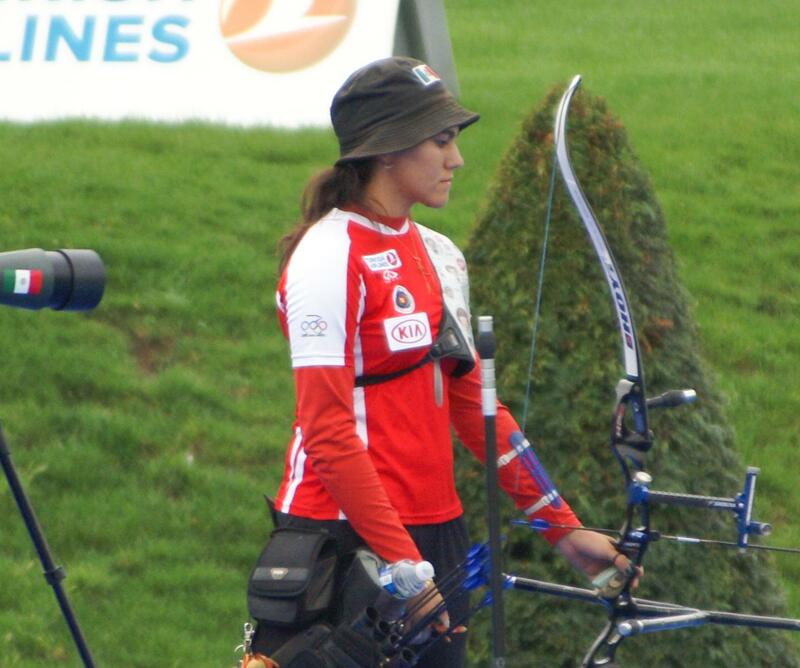 Alejandra Valencia at the World Cup finals, Paris, 2013. My greatest strength, maybe, would be that I am very calm when I am doing things, so I don’t panic easily. 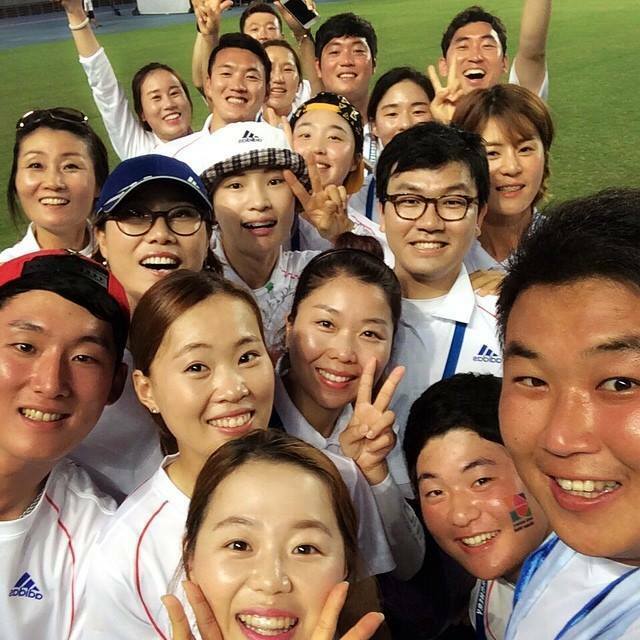 What does an ordinary day in your life look like when you are preparing for a tournament? I go to university in the mornings and train in the afternoons, although sometimes I train in the mornings before going to school. That’s it. What is the best advice you have given to someone else? What is your favourite country you have visited through archery? Hmmm…. I think that Holland is nice. I like Amsterdam very much, I’ve only really been there for four hours, but it’s very calm, very clean and very beautiful. A perfect Sunday would be to sleep late, peacefully, no homework, no worries, and being with my family in the afternoon. Why do I continue doing archery? I don’t know – perhaps because I get a lot of fun out of it, and I never get bored! 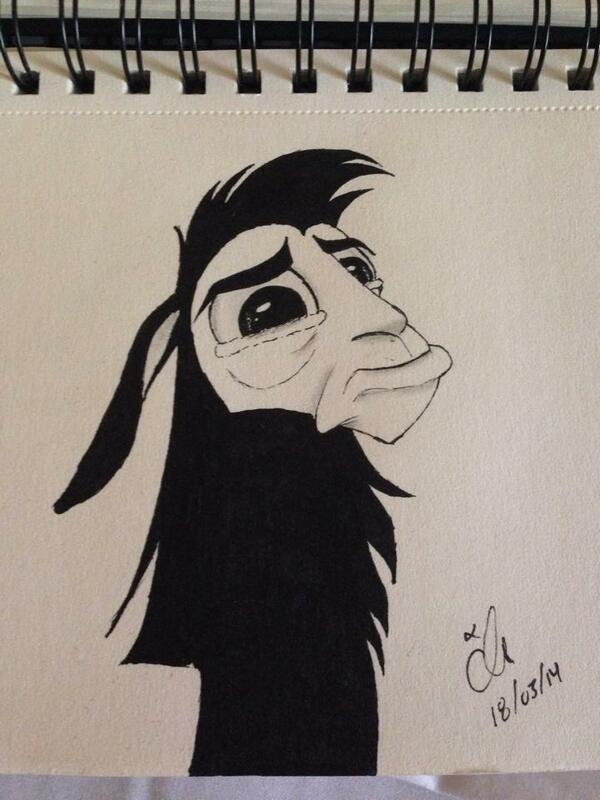 LOL… well, that was a challenge to draw something new every 30 days, but I lost it! But I’m always drawing something, every day. I love to draw. ¿Como mantienes la calma cuando vas a tirar? Respiro y me concentro en lo que voy a hacer, me enfoco en mi técnica. ¿Haces algún calentamiento? Kabala? Ritual? No, solo hago el calentamiento normal y despues me alisto para tirar. ¿Qué harías para dar a conocer a dar a conocer a más personas el perfil de un arquero? Tal vez teniendo mas difusión en cada competencia, dar exhibiciones en lugares o cosas así. ¿Hay alguna versión o algo diferente del tiro con arco que tú crees que pueda atraer a un nuevo público? Lo que orita esta funcionando son las peliculas que estan saliendo, hace poco hubo una racha donde casi todas las peliculas tenian a alguien que usaba un arco y una flecha, eso ayudo mucho a que la gente conociera este deporte y se interesara por el. 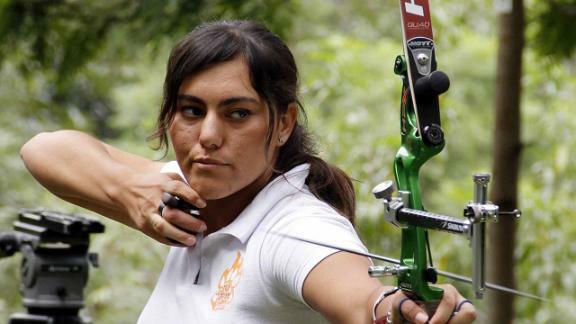 ¿Cuál es tu deporte favorito aparte del tiro con arco y por qué? ¿Cómo es un día común en tu vida cuando te estás preparando para un torneo? ¿Cuál es el mejor consejo que has dado? Hmm…. yo creo que seria el de ”entrena como si compitieras y compite como si entrenaras”. Cuéntanos como es un Domingo perfecto para tí. Cuál es tu país favorito, en el que hayas estado, para tiro con arco, y por qué? ¿Qué te mantiene practicando el tiro con arco? ¿Cuál será su dibujo mañana? Jajaja… pues eso era un reto de dibujos de 30 días pero lo he perdido, pero yo siempre estoy dibujando algo nuevo cada día. Me gusta dibujar. Good piece by ESPN here (in English), with some background. Video piece by ESPN here (en Español). Special thanks to Teresa Colunga De La Vega.